Register and Join Us for Hands-On workshops and training! AT and Apps to Support Math for Diverse Learners-FREE Webinar! 3/14/18 at 4pm ET, http://bit.ly/ATmathATforEducationCTD RSVP to attend, Free to register. Supporting Students with Dyslexia: AT, Accommodations, & Strategies-3/21-Live Webinar-Join Us! 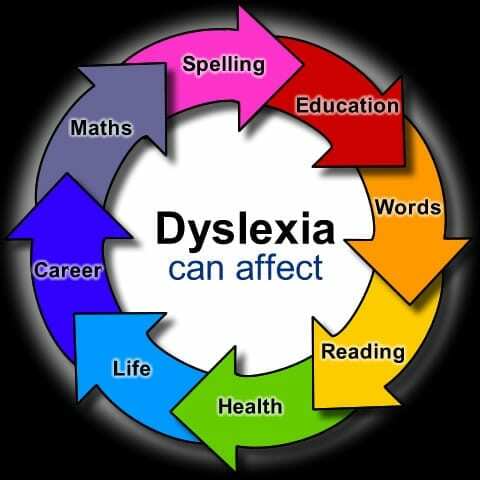 Dyslexia is the most common type of specific learning disability affecting 10-15% of the total population; In the US, approximately 1 in 5 students are coded with specific learning disability (SLD), many whom experience challenges in the area(s) of comprehension, oral expression, written expression, and/or basic reading skills (NCES, 2015). With so many individuals experiencing dyslexia, it is critical that educators & service providers acknowledge Dyslexia and provide research-based interventions to support students in accessing curriculum and instruction. Learn how to develop goals, choose appropriate accommodations, provide supportive assistive technology and specific literacy instruction to support access and success in education. Interventions designed to close achievement gaps by providing well-researched programming that is explicit, systematic, and multisensory in nature, combined with assistive technologies to foster literacy, independence, and access to educational materials. Embedding these interventions and AT tools into the curriculum will personalize learning and ensure access to language, literacy, and learning opportunities for all students, including in a UDL environment. Demonstrations of innovative assistive technologies, literacy strategies and lesson planning will be provided, as well as the opportunity for the participant’s to ask questions and access to an extensive AT tools matrix. The assistive technology demonstrations will include Google Chrome extensions (Laptop, Chromebook), iOS apps and built in accessibility features (iPad, iPhone), and web-based resources, including several free and low cost options for students and adults! REGISTER! Join us 2/15 at 7pm in Needham, MA! How do you support diverse learners using free and low-cost apps & assistive technology solutions? Join us for this workshop focusing on ensuring success for all learners using the tools, features, and apps available in Apple’s App Store and Google’s Chrome Web Store. These solutions support personalizing education for all learners, as well as engaging and including all students in a Universal Design for Learning environment. Admission is FREE, but space is limited and first come, first serve. Please RSVP at your earliest convenience. AT Now Conference-OTAP-Salem OR, 2/8/18-Join Us for Two AT workshops! Join us at the AT Now conference in Salem, Oregon, February 8 and 9th, for two AT training workshops! Phenomenal Keynote Speakers, AT Vendors Exhibiting, and other AT expert speakers throughout the two days! This is a Hands-On All day workshop! Manchester, NH. Equipment needed: The MITI (make It & take It) workshop registration fee includes an Apple iPad Air 16GB wifi and a $20 iTunes gift card. Particpants for the BYOD registration fee requires that you Bring Your Own iPad, but DOES include a $20 iTunes gift card. Participants encouraged to bring a laptop as well. Software needed: Prior to the workshop, if you do not already have an iTunes account, workshop participants are requested to create a free account at: https://appleid.apple.com/account. Build the Bridge to Learning-AT to Include Diverse Learners on All Devices Across the Curricula! Supporting UDL! 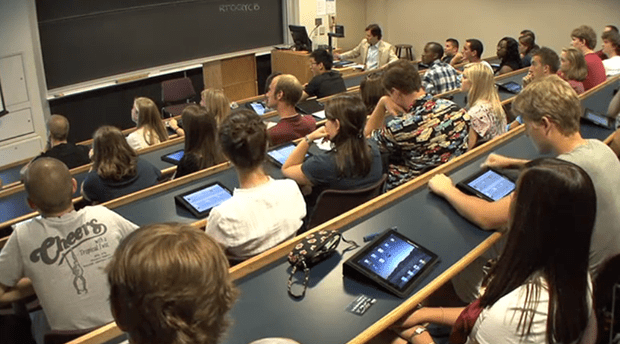 Many schools are now implementing BYOD or 1 to 1 programs that provide more choice for educators and learners. Some are Going Google with Chromebooks and Google Apps, others are using Apple devices or Windows laptops. How do you support diverse learners on all devices, using free and low cost (high quality) Apps, tools & AT solutions? Join us for this workshop focusing on ensuring success for all learners using AT tools, features, extensions and apps, as well as free web resources and Windows options.pokemesh for PC laptops These AT solutions support personalizing education for students, as well as engaging and including all students in a UDL environment. AT tools to support your learners in accessing textbooks, curriculum materials (Handouts/Worksheets), research and study skills & completing assignments using technology. Technologies to support students with LD (including Dyslexia), physical disabilities, low vision or blindness, & difficulties with literacy, math and executive functioning (scheduling, reminders, planning, organization, etc.) will be discussed & explored hands on! You will have a powerful toolkit of resources for fostering & success across all platforms, devices, and subjects! Access to General & Special Education for all students will be explored hands-on! Bring your technology to followSet Up Voicemail on iPhone along! 11/09/2017, UConn, Join the Best and Brightest in the field at this Event! Usability, Accessibility and Assistive Technology allow persons of all abilities and disabilities to engage in learning, employment and enjoying life to the fullest. The #WUDNE2017 event aims to bring together some of the brightest minds in these three fields, for a day of Learning, Professional Development and Networking. Accessible documents, Website Design and Compliance, User Experience, Universal Design, the latest Assistive Technology for education and employment, as welliroot for PC download as accessible design in the home, classroom and community. Experts from these fields will be sharing their expertise through demonstrations and informative workshop sessions! AZTap-Arizona AT Conference-All-Day Pre-Con Workshop, Hands On! AzTAP Arizona AT Conference! 7/23/17, Full-Day PreConference Session! Build a Bridge to Learning – AT to Engage and Include Diverse Learners on All Devices Across Curricula, Supporting UDL! Many schools are now BYOD (Bring Your Own Device) and someyoga burn review are “Going Google” with Chromebooks & Google Apps for Education. How do you support diverse learners on all devices, using free & low cost (High Quality) Apps & AT solutions? Join us for this hands-on informative workshop focusing on ensuring success for all learners using the tools, features & apps available in Apple’s App Store/Devices and Google’s Chrome Web Store. Support for literacy (Dyslexia/ LD), math, executive function, accessible worksheets/textbooks, as well as support for our learners who are blind/ low vision and those with physical/ motor challenges. Register by June 23 to take advantage of our Early Bird discount registration fees. TATN Texas AT Conference-Join us for two workshop sessions!